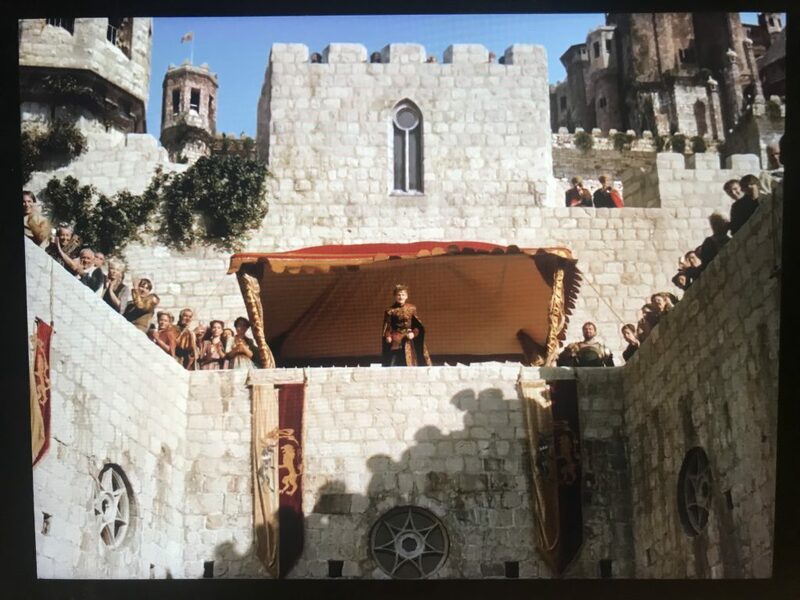 I must admit….it took my husband 5 solid years to convince me to watch Game of Thrones and ever since I started the first episode, I’ve been hooked (I’m mildly obsessed with Jon Snow)! I binged watched the series in a just a few weeks and have watched it at least 10 times over. 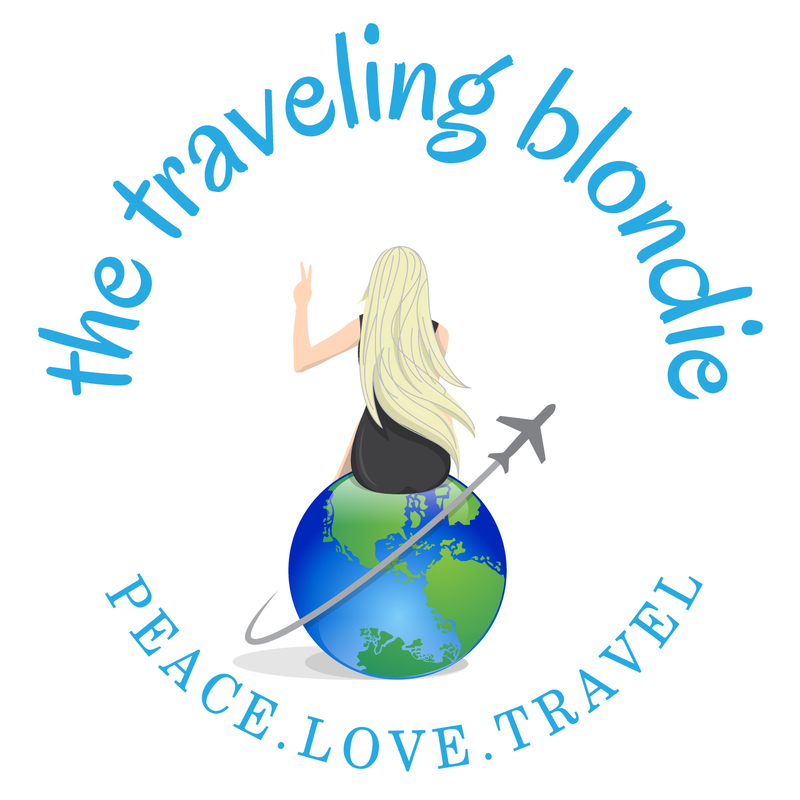 SO, you can imagine, when I came to Croatia, I was like a kid in a candy store! 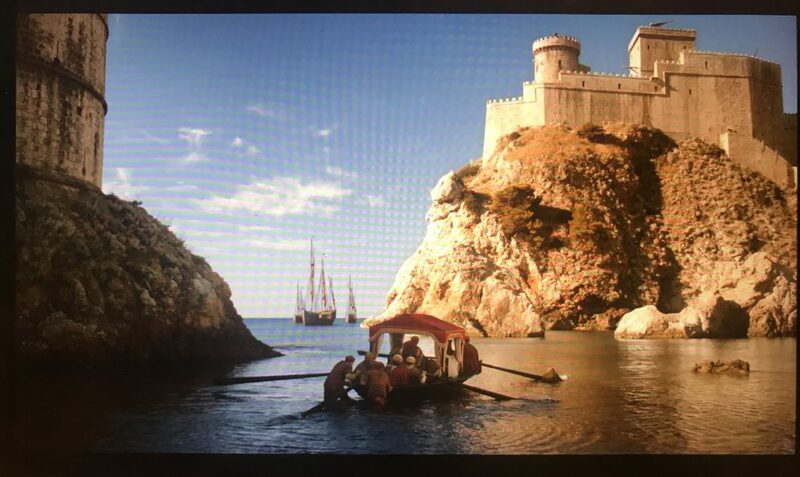 If you’re not a Thrones fan, Dubrovnik will surely make you fall in love nonetheless, but, if you happen to be obsessed with every facet of the series-from the costumes, to the script to the storyline, oh my-then Dubrovnik will truly captivate you from the inside out. 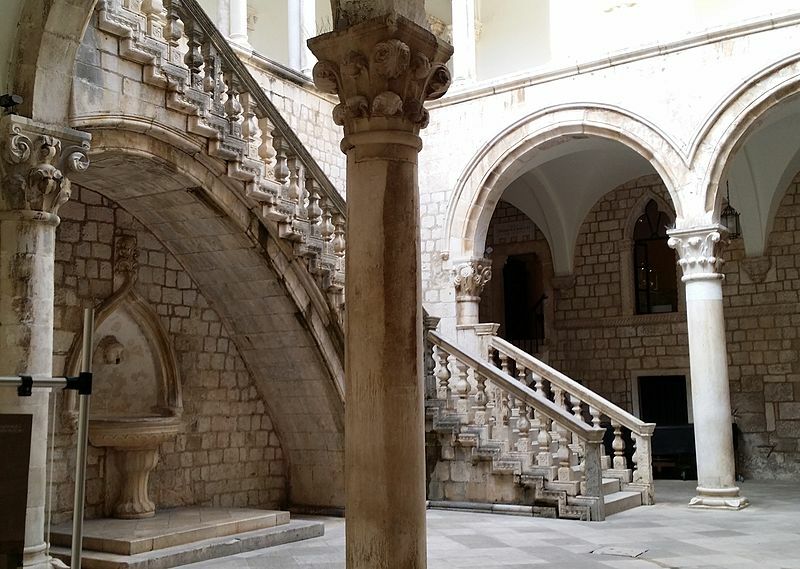 Looking for more details about the city of Dubrovnik, Croatia? 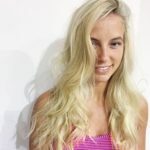 Check out my Blog Post! 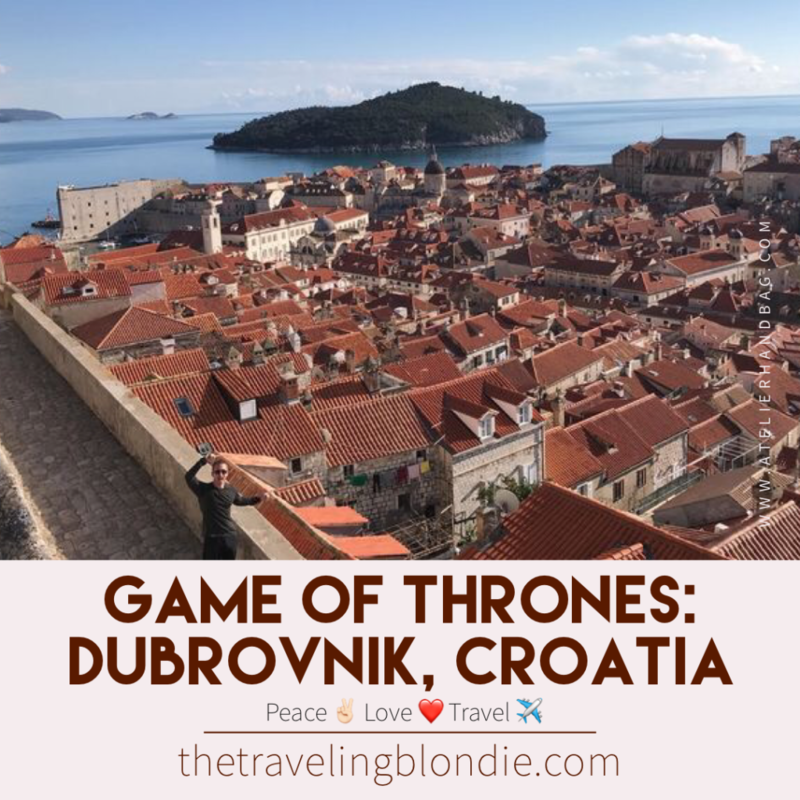 There are endless amounts of Games of Thrones Tours available for purchase in Dubrovnik…BUT I’m all about saving cash so I created my own tour FOR YOU (and my husband and I, of course). 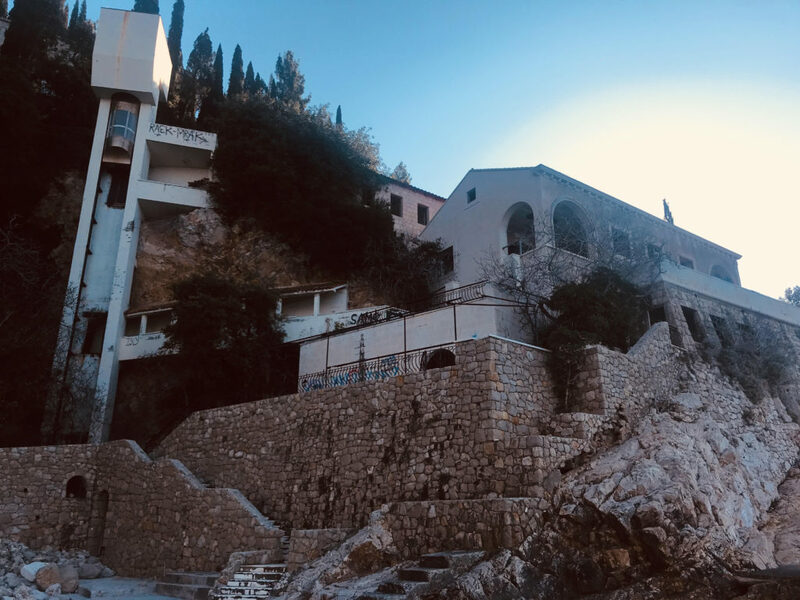 I’ve listed the top places of filming you MUST SEE, along with google maps links and photos of the scene (you can thank me later)! ENJOY! 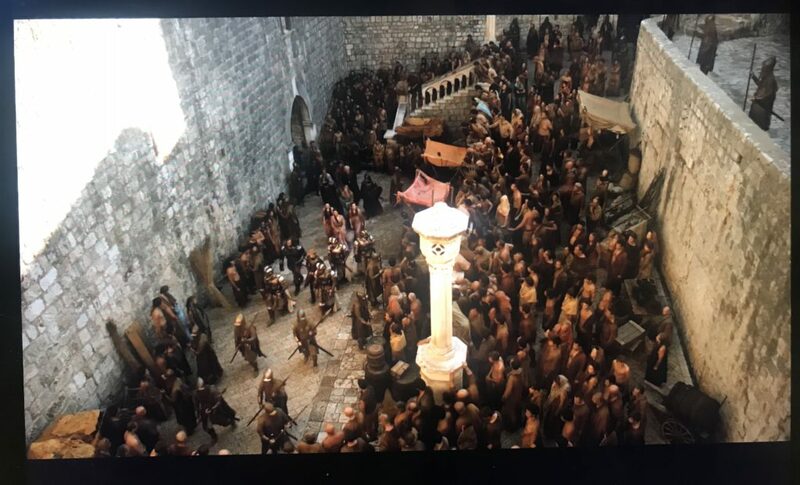 Just an FYI: all photos are mine (unless stated otherwise) because, as the true GOT fans that we are, we purchased all the seasons, so I’ve screen shotted each clip for you! 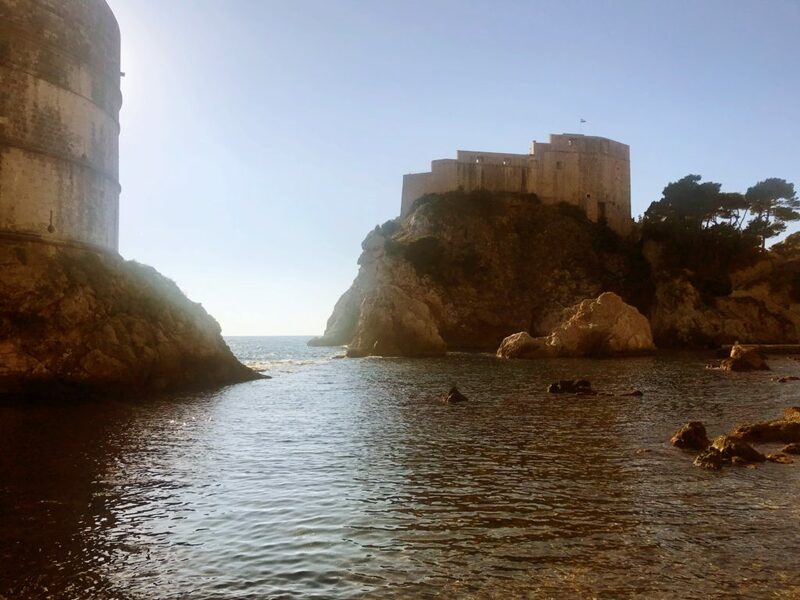 This is a no brainer and usually everyone’s first stop when coming to Dubrovnik! 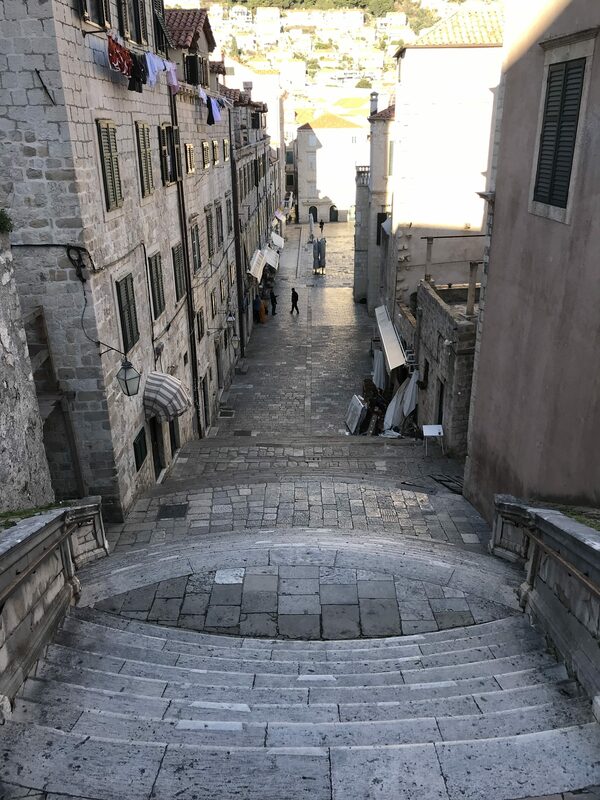 Head up the wall and walk the 1.5 hours around to take it all in or, enjoy a ride on the cable car to catch an aerial view of King’s Landing from above! 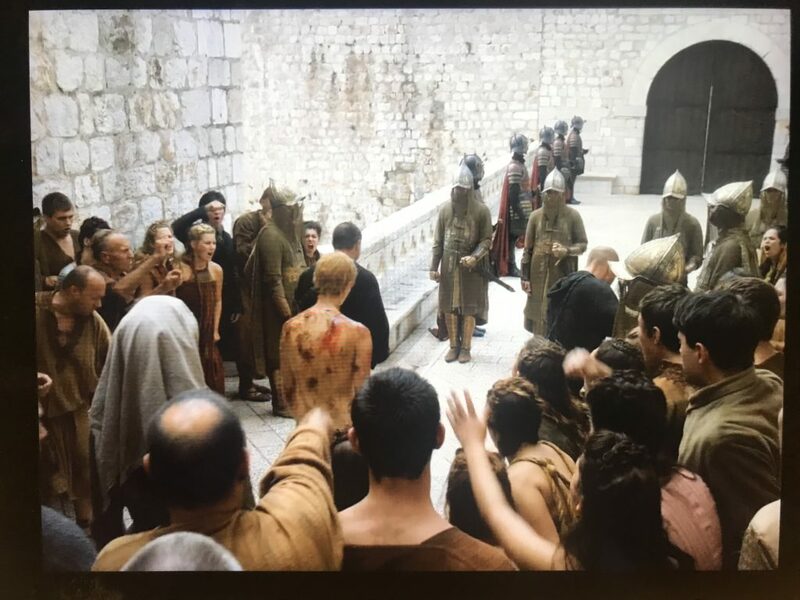 We totally filmed our own ‘shame, shame’ clip while we visited and, luckily, we were there in the offseason, so we had the whole area to ourselves. 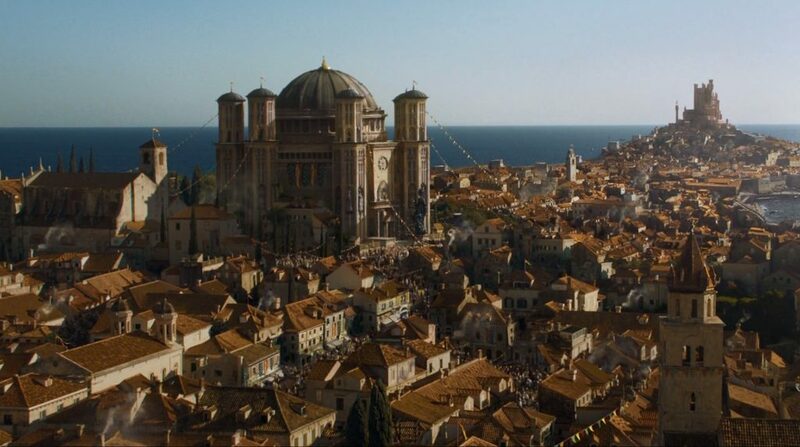 Come to Dubrovnik in January, trust me! 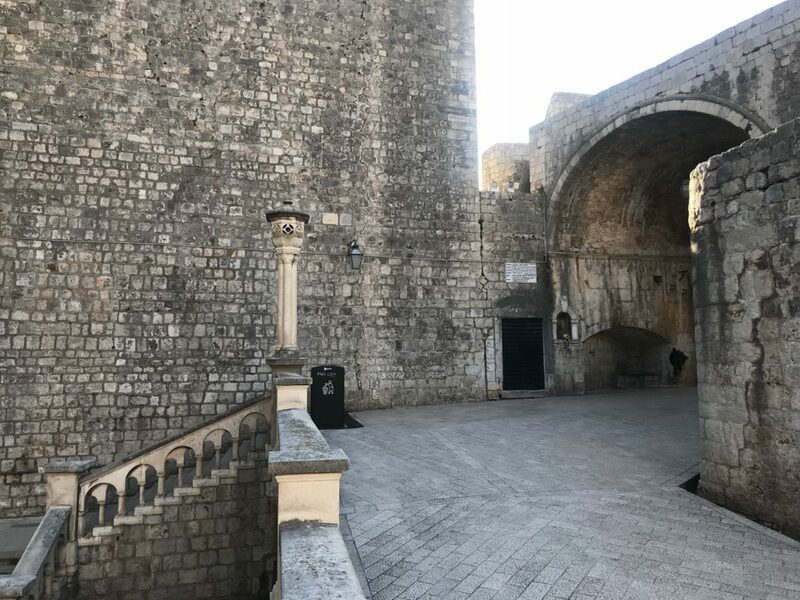 There are two gates to enter Old Town: Pile Gate and Ploce Gate. 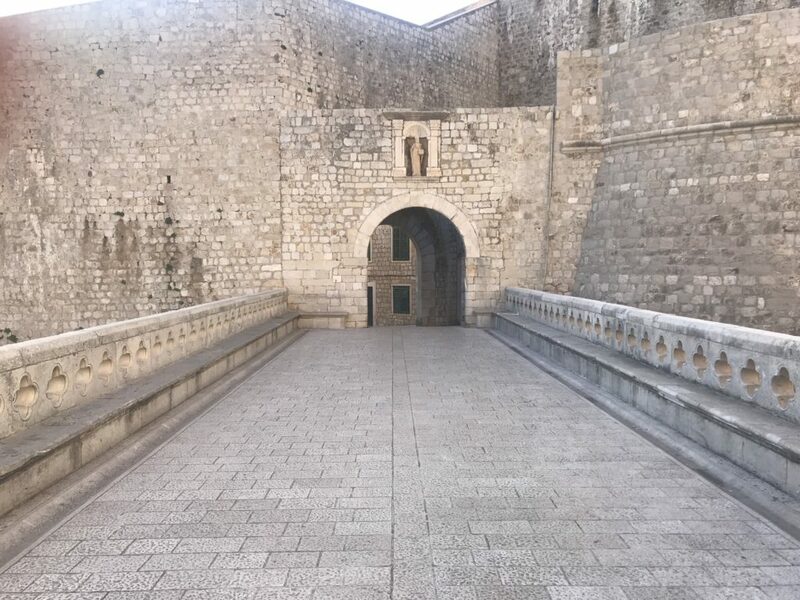 Just before the exit of Ploce Gate is a bridge where Cersei finished her walk of shame just before re-entering The Red Keep. 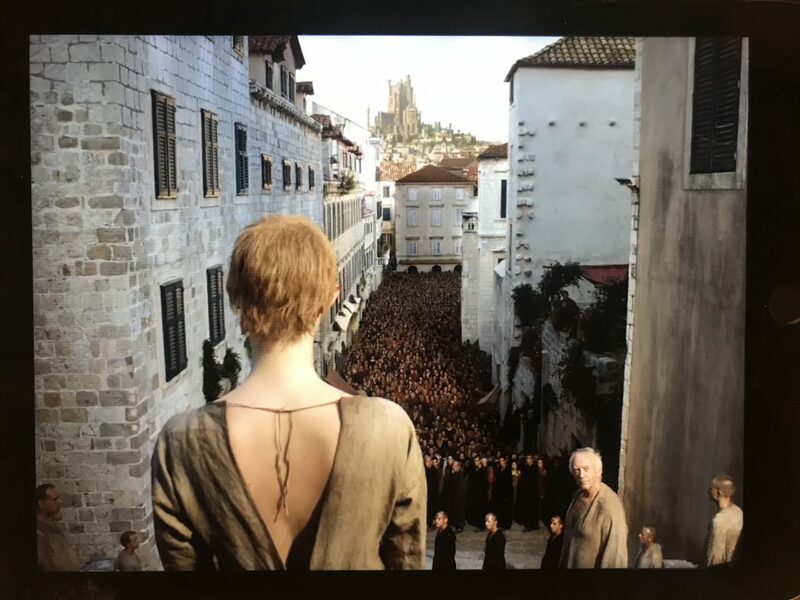 Season 3, Episode One: Valar Dohaeris. 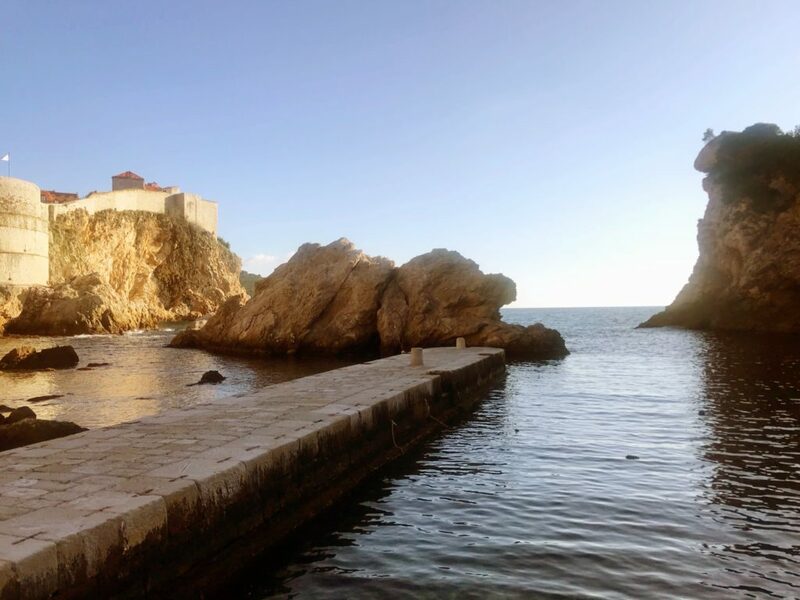 One of the most beautiful parts of Dubrovnik, is the city’s West Harbour. 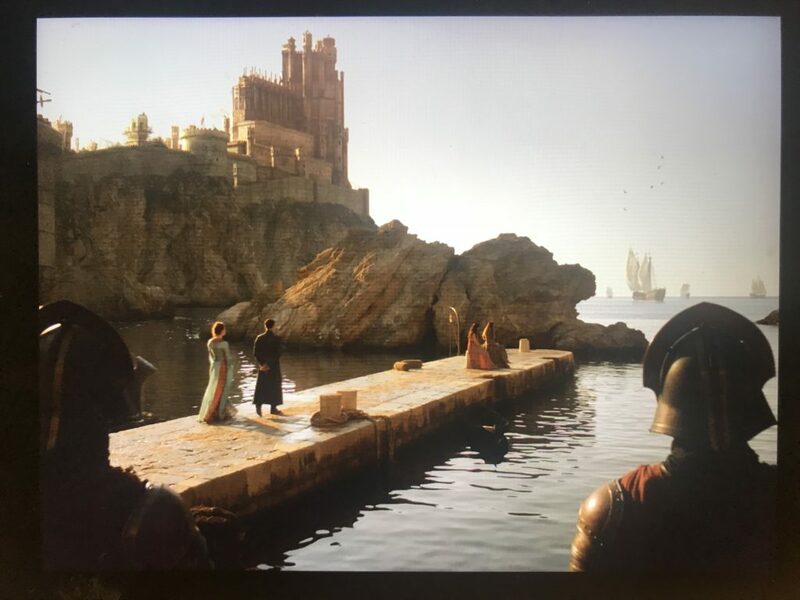 The water is absolutely clear and blue and, with the surrounding cove comprised of white stones, it’s absolutely breathtaking (which is clearly why MANY scenes were filmed here). 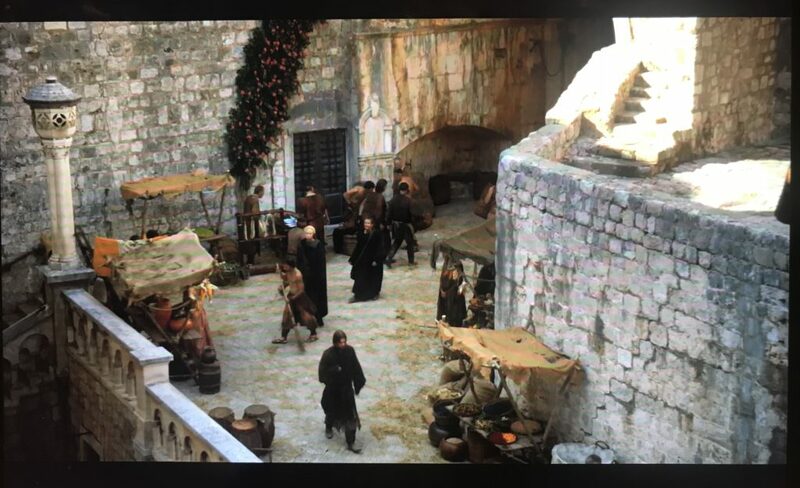 The scene where Marcella is shipped away to Dorn by boat was also filmed in Dubrovnik West Harbour. It’s currently a location to rent kayaks, but, if you go in the offseason, it’s totally desolate! 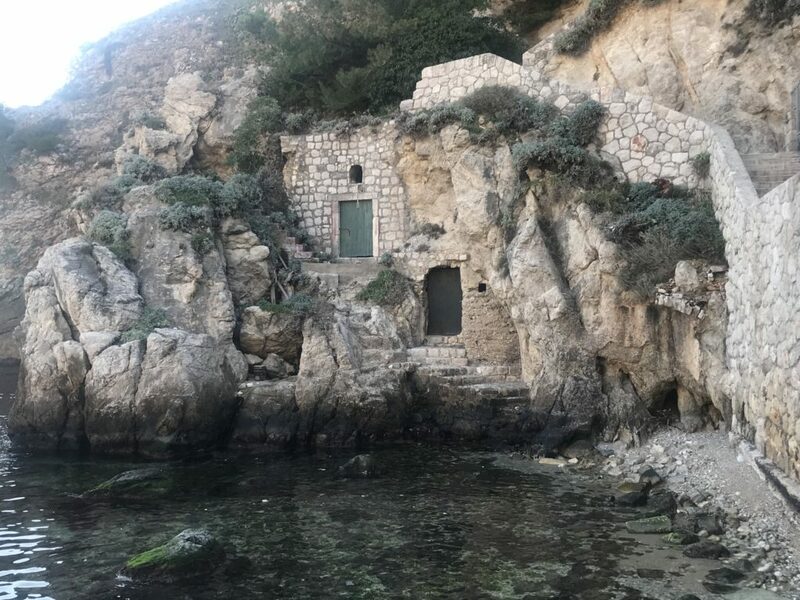 Located in Dubrovnik West Harbour, while heading toward the steps up to Fort Lovrijenac, you’ll find two doors just besides the waters edge (another door was added via CGI). 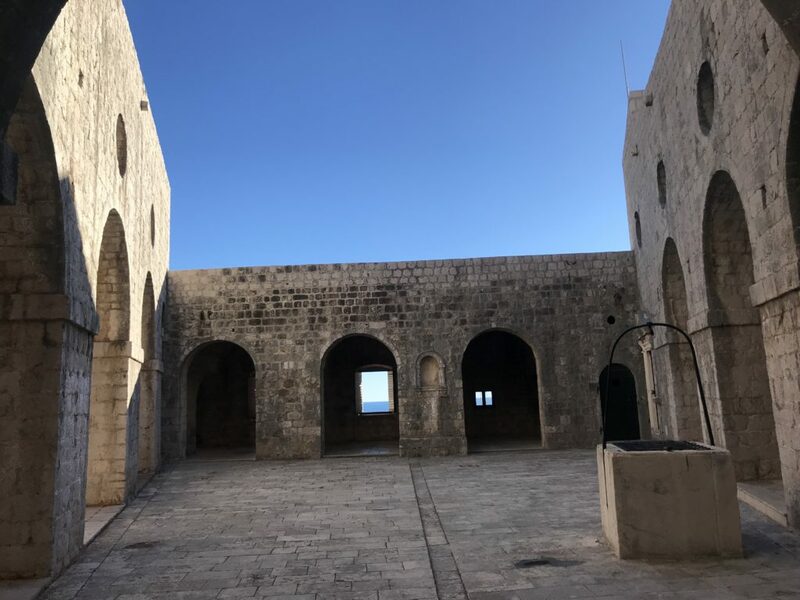 This fort was the incredible place where King Joffrey’s Name Day was filmed. 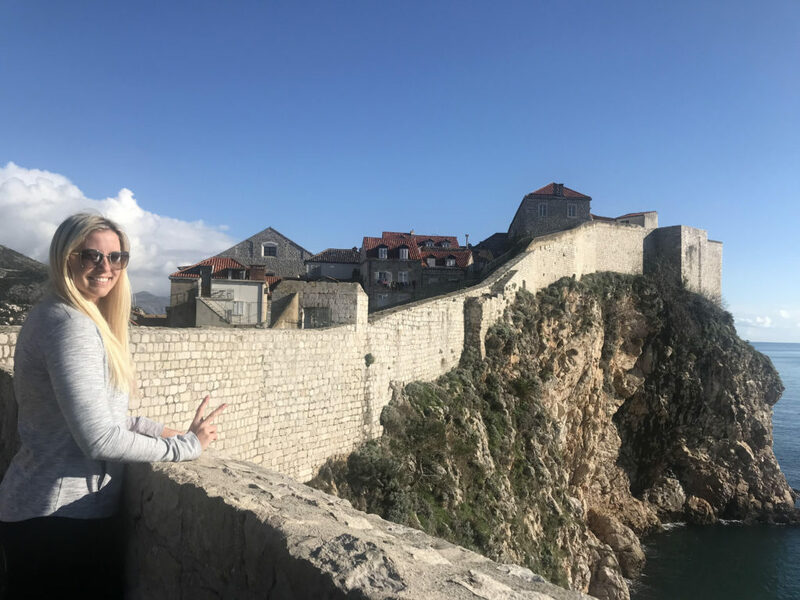 While this fort is honestly semi-mediocre inside compared to the rest of Dubrovnik, the views from the outside and top are great! 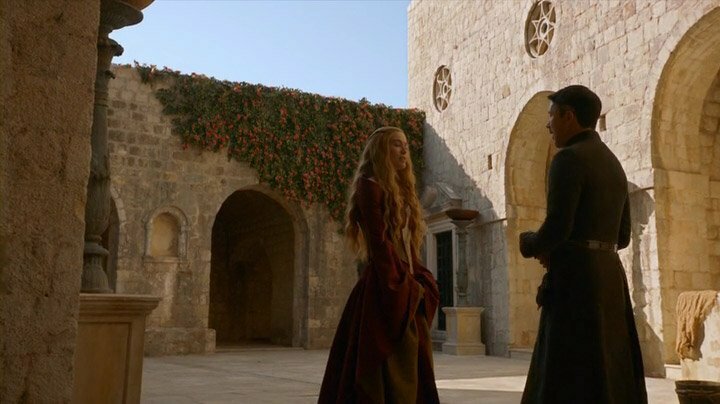 Located at Fort Lovrijenac is where Cersei and Little Finger discuss power. 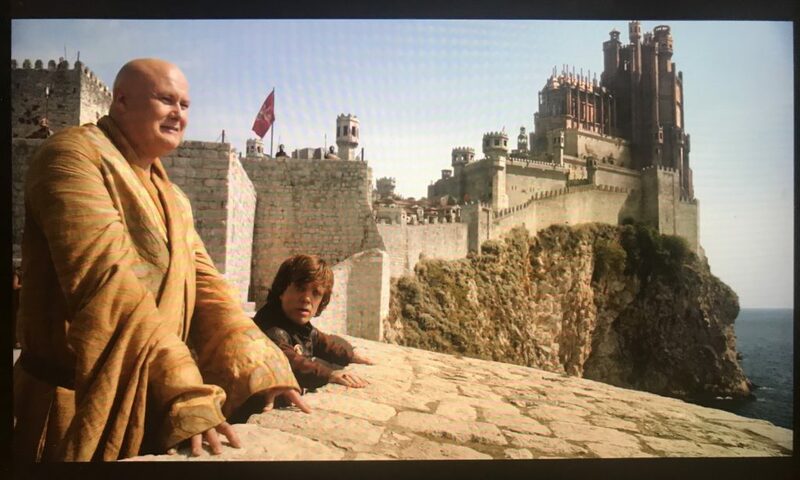 In season 2, Tyrion and Varus discuss the Game of Thrones while up on the wall, just after you pass Tvrđava Bokar, or Fort Bokar. The amount of CGI here is crazy, RIGHT?! 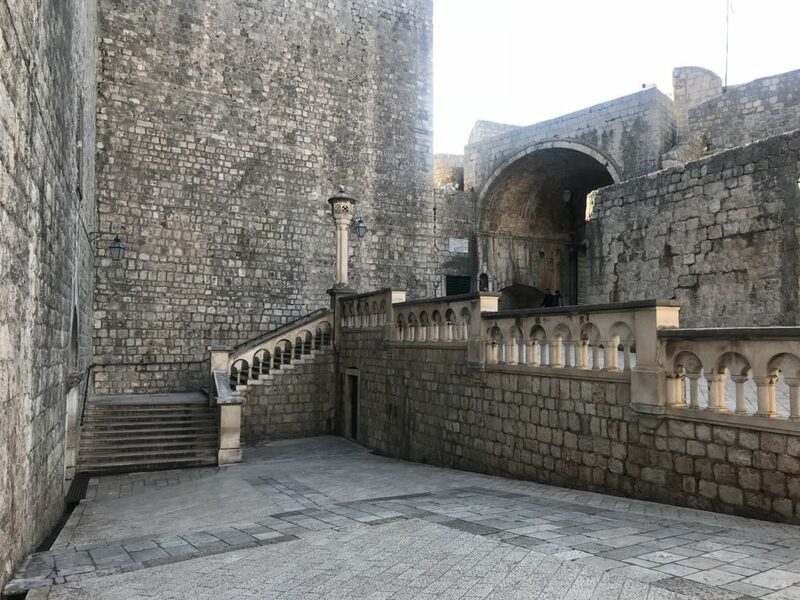 Just inside the Pile gate, you’ll find the first steps that lead down to the Main Street in Old Town, and also the VERY place where the people rioted against Joffrey! 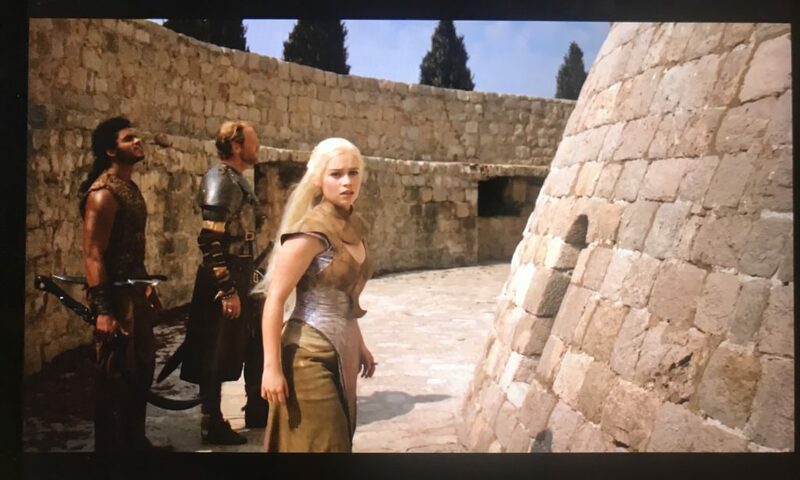 Also located after just entering Pile Gate is the scene where Jamie Lannister returns to King’s Landing with Breanne of Tarth. 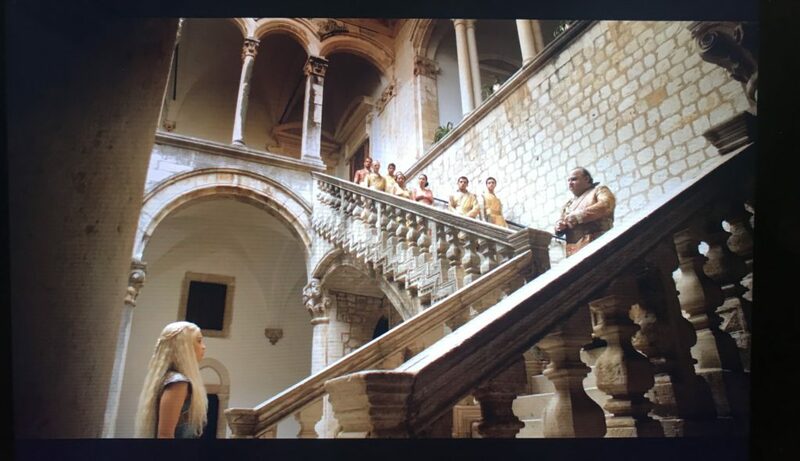 The iconic scene where Daenerys requests ships from the Spice King. 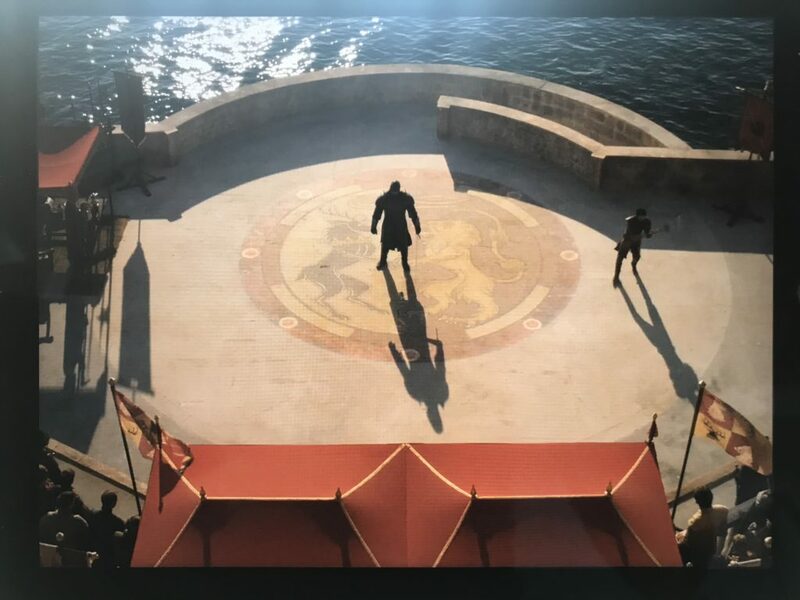 Located about 2.4km (1.5 miles from Old Town at St. Jacobs Beach, is an abandoned hotel that was the sight of f)ilming for the iconic fight between Oberyn and the Mountain. This one is a bit tricky to get to. Head to St. Jacobs Beach and walk down the steps. 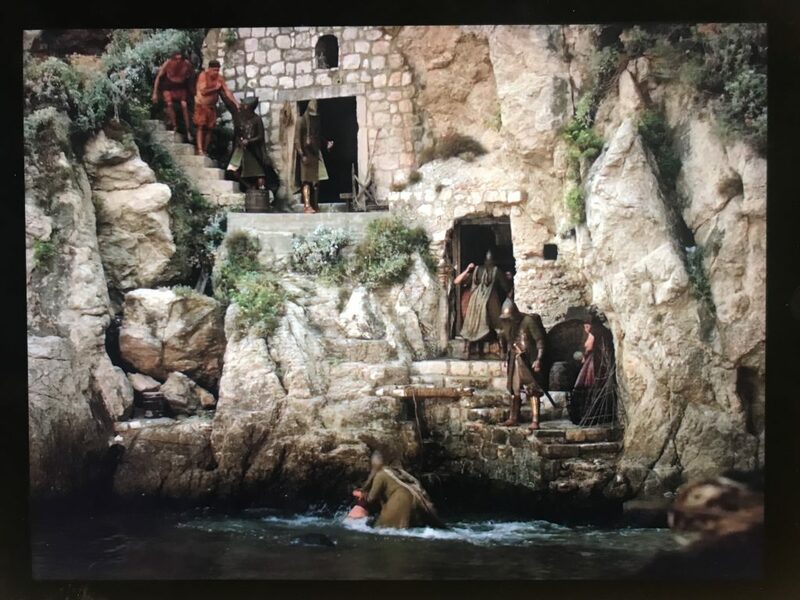 Once you’re on the beach, head to the left and climb over a few rocks to get to a pathway that leads out to a bock dock/platform. Just above that is the hotel. It’s SUPER eerie, especially because we were there in the off season and not another soul was around. 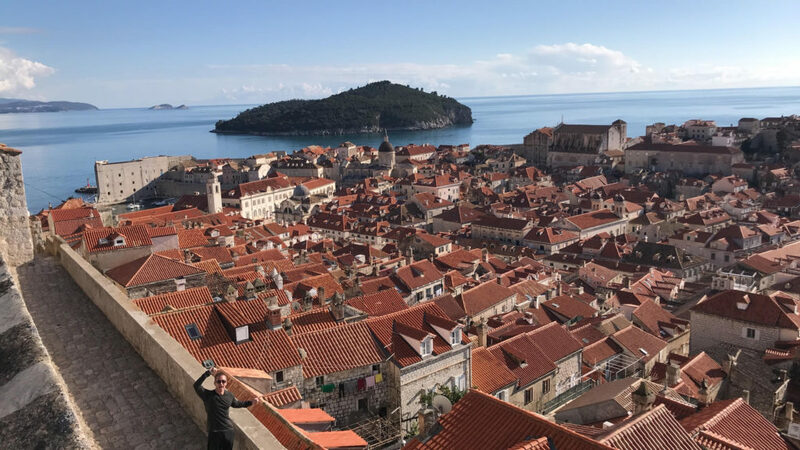 Dubrovnik’s Old Town City Walls are 1.9 km long (1.18 miles), which come in second to the Great Wall of China as the largest on the planet. 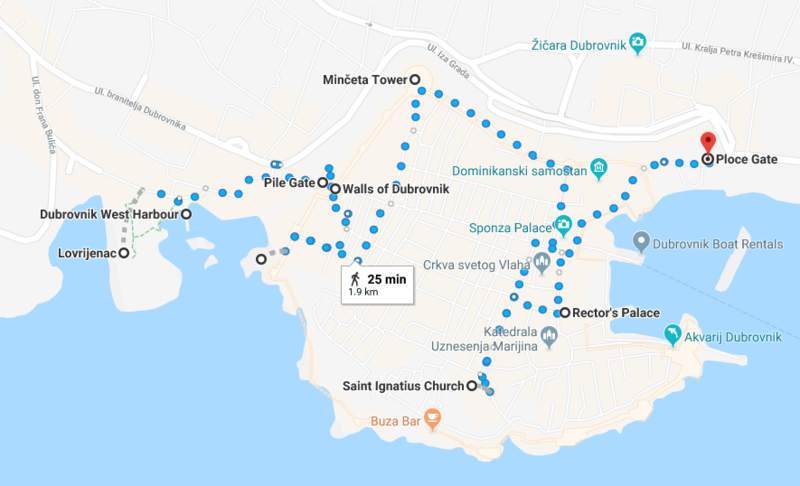 The Old Town Walls were constructed in 1453 and survived a MASSIVE earthquake in 1667. 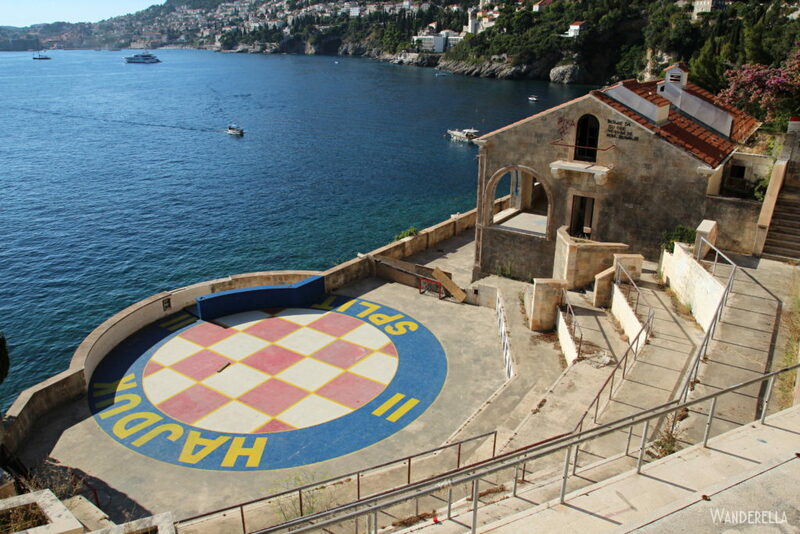 Croatia’s coastline is also known as the Dalmatian Coast, and yes, that’s where the dog got its name! 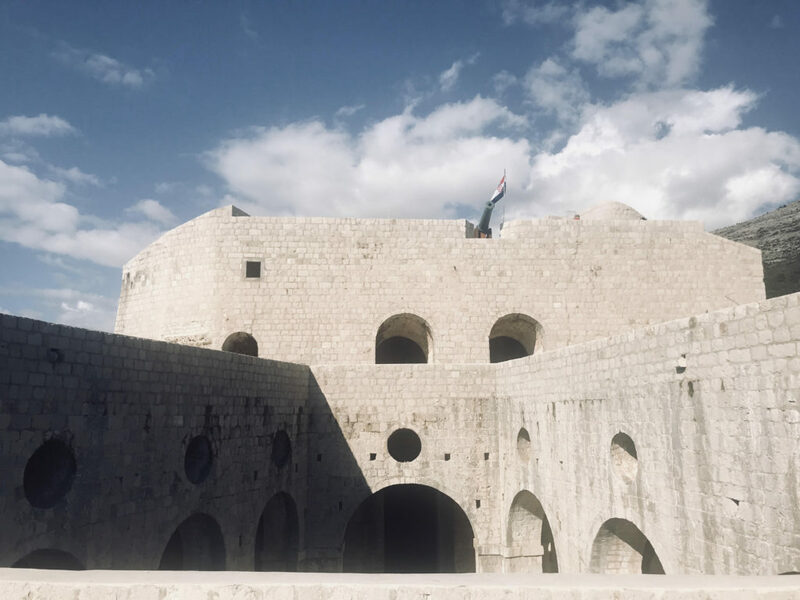 In 1979, Dubrovnik was added as a UNESCO World Heritage Sight. The walls of Old Town have NEVER been breached!